1. 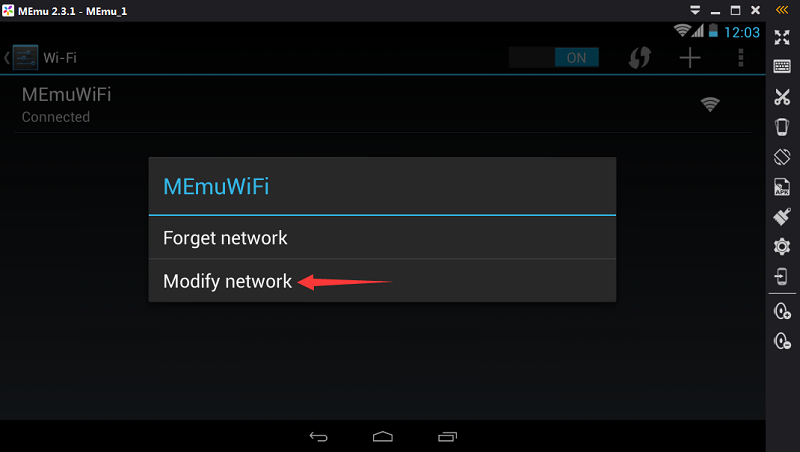 Enter into Wireless & Networks setting, then press “MEmuWiFi” connection for a few seconds. 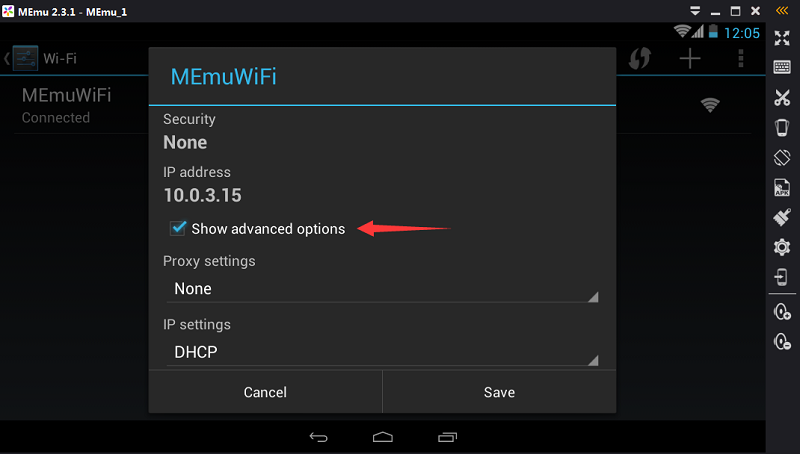 3 Check “Show advanced options”, then modify proxy and IP settings as you need. 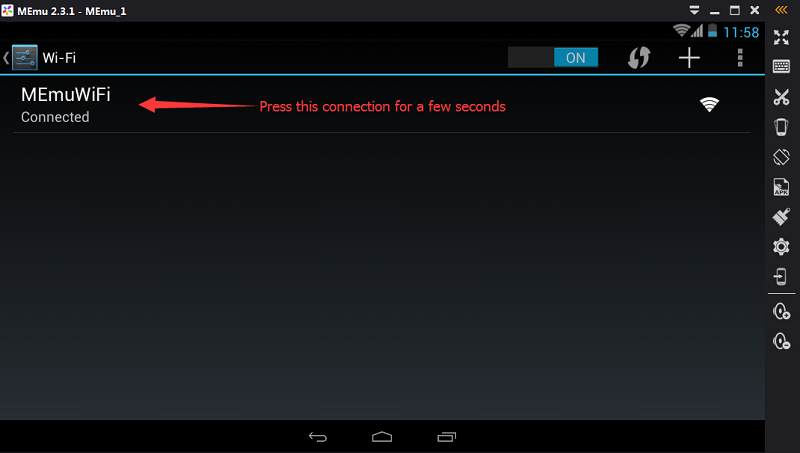 Note: The alternative way to play game with proxy is to download app like Proxydroid or Orbot from Google Play Store and setup proxy server thru it. MEmu Manual 1.0 is released!